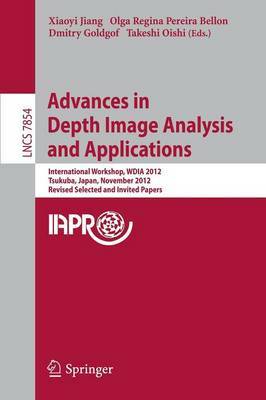 This book constitutes the refereed proceedings of the International Workshop on Depth Image Analysis, held in conjunction with ICPR 2012 in Japan in November 2012. The 16 revised full papers presented at the workshop were carefully reviewed and selected from 27 submissions and are complemented with 3 invited papers that were also peer-reviewed. The papers are organized in topical sections on acquisition and modeling of depth data, processing and analysis of depth data, applications, and ICPR contest.